I put Tris on the longe line on Friday night because a) it was freezing, b) the new winter breeches I packed to wear – that I bought on clearance – didn’t fit despite being precisely the same size as my previous winter breeches, wtf, c) I wanted to see if he was sound again after the stomach muscle incident. He was! Swelling 100% gone, sound as a bell. Huzzah! 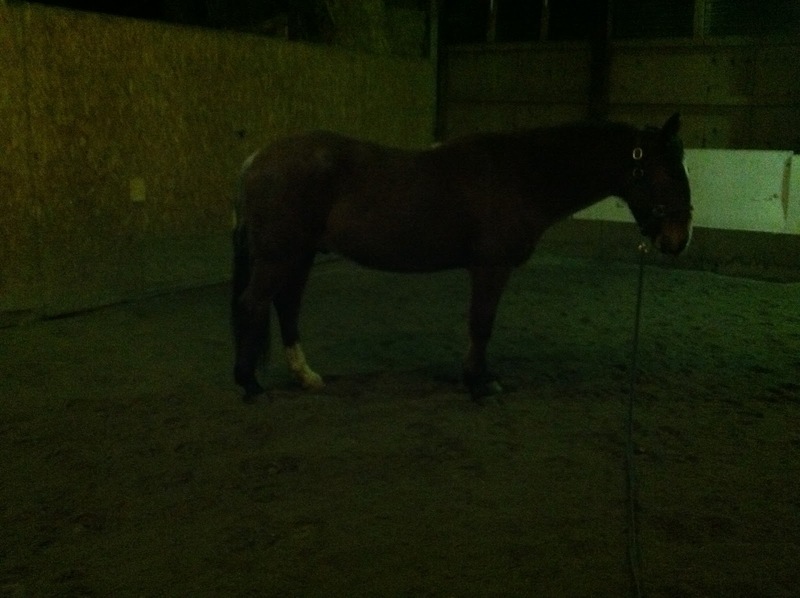 So I basically just loosened him up, walk-trot on the longe, kept him moving and got him to soften a bit. Then I figured I had him nekkid so I might as well do some conformation shots! Sorry the picture quality is terrible but there’s a lot to like here. He’s in a great weight, right around a 6 or maybe a smidge higher. 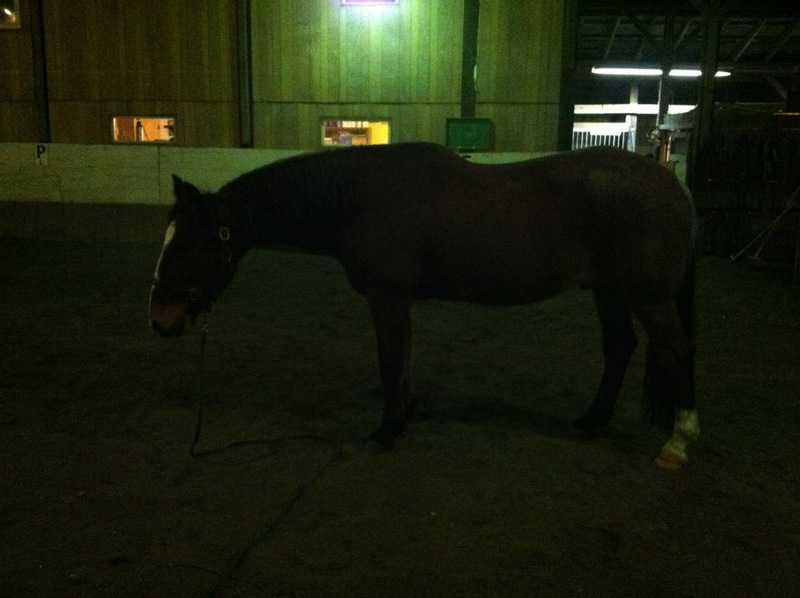 His muscling is coming back nicely, as you can see primarily in his hindquarters and his neck. He still has his usual conformation flaws, granted, but there’s nothing I can do about those! glad he's doing well and is sound again!! i'm not really a confo expert, so can't add much to your assessment, except to say that i'm glad he's in good shape physically!